Welcome to art therapy for the abnormal. 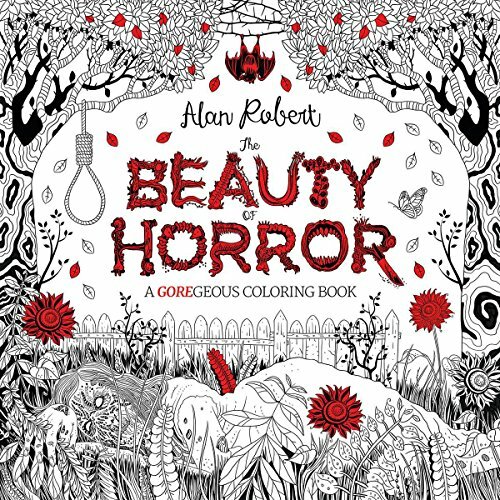 With this coloring book for adults channelingThe Walking Dead meets The Secret Garden, comics creator/rock star Alan Robert(Crawl to Me, Killogy, Wire Hangers) invites fans of horror to discover theirinner-colorist. Through intricate pen and ink illustrations to complete, color,and embellish, readers will meet an onslaught of severed heads, monsters, deadlyweapons, and skeletal remains.